FX Trading Corp operates in the MLM cryptocurrency niche and represents it is based out of South Korea. To that end a tax certificate for “FX Trading Corporation” is provided on the company’s website. Heading up FX Trading Corp are co-founders Young Min Oh (CEO), Joon Park (CFO) and Yang Jae Seok (CMO). No information about any of these individuals is provided. Possibly due to language-barriers, I was also unable to find anything further myself. What little I did find was tied to FXTrading Corp itself. This is a red flag as it suggests the co-founders have no digital footprint outside of the recently launched company. Read on for a full review of the FXTrading Corp MLM opportunity. FXTrading Corp has no retailable products or services, with affiliates only able to market FXTrading Corp affiliate membership itself. FXTrading Corp affiliates invest funds on the promise of an advertised ROI of up to 500%. The advertised ROI rate is up to 2.5% a day for 200 days, regardless of how much is invested. FXTrading Corp pays a 6% referral commission on funds invested by personally recruited affiliates. FXTrading Corp pays residual commissions via a binary compensation structure. At the end of each day FXTrading Corp tallies up new investment on both sides of the binary team. Affiliates are paid a 10% residual commission on funds generated on their weaker binary team side. Leftover volume on the stronger side is carried over the following day. Note that FXTrading Corp affiliates are capped in daily residual commission earnings based on the highest tier they’ve invest at. I.e. Bot1000 affiliates can earn up to $1000 a day in residual commissions. Bot20000 affiliates can earn up to $20,000 a day etc. FXTrading Corp pays a Matching Bonus via a unilevel compensation structure. FXTrading Corp caps the Matching Bonus at ten payable unilevel team levels. The Matching Bonus is paid out on residual commissions earned by affiliates across these ten levels. FXTrading Corp affiliate membership is free. Full participation in the attached income opportunity however requires a minimum $300 investment. If I didn’t know any better, I’d say FXTrading Corp is in actuality being run by Brazilians. 1. 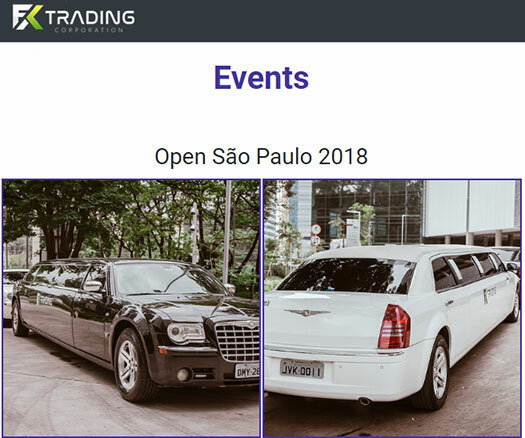 FX Trading Corp held it’s “opening” event in Sao Paulo recently. 2. 40% of FX Trading Corp website traffic originates out of Brazil. 3. ROI payments are made at midnight “South American time” (explicit time-zone not specified but I’d be willing to bet it syncs with Brazil). 4. 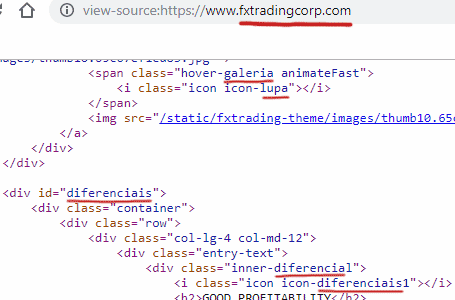 Elements within the FXTrading Corp website are defined in Portuguese (Brazil’s official language). For what it’s worth Young Min Oh, Joon Park and Yang Jae Seok appear to be represented by actual people. Beyond appearing in rented office photos and footage from the Sao Paulo opening on the FX Trading website however, they don’t appear to have anything further to do with the company. Is there a South Korean Fivver equivalent you can hire actors through? With respect to the FX Trading Corporation tax document, to the extent FX Trading Corp is incorporated in South Korea, you’ll likely find it’s a shell company tied to a virtual address. Or not, because ultimately the South Korean tax document is meaningless. From what I can see FXTrading Corp is not promoted in South Korea, nor does it have any actual business operations there. FXTrading Corp clearly offer a passive investment opportunity, which is legally known as a securities offering. This requires FXTrading Corp to be registered itself with securities regulators in every jurisdiction it operates and/or is promoted in. There is no indication on the FXTrading Corp website that it has registered itself with either South Korea’s Financial Services Commission or the Brazilian SEC. Failure to register itself means FXTrading Corp is operating illegally in both countries, along with any other country the opportunity is promoted in. The reason dodgy companies like FXTrading Corp opt to operate illegally is because registration with securities regulators requires documented evidence of external ROI revenue. Or in other words, proof the company is doing what it says it is. uses an automated arbitrage system that yields profits for customers based on real-time movements in the cryptocurrency market. Naturally FXTrading Corp fails to provide evidence of this system existing, or the use of any other source of external ROI revenue to pay affiliates. The only verifiable source of revenue entering FXTrading Corp is new investment. 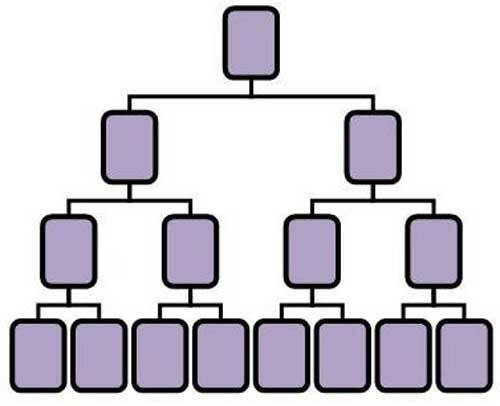 The use of which to pay existing affiliates a daily ROI makes FXTrading Corp a Ponzi scheme. Not withstanding that if FXTrading Corp’s actual owners were able to legitimately generate consistent returns of up to 2.5% a day, they wouldn’t be offering it to randoms over the internet for as little as $300 a pop. On top of all of that FXTrading Corp has no retail offering and referral commissions paid out on new investment. This adds an additional pyramid layer to the scheme. Both fraudulent business models are hinged on constant recruitment of new affiliate investors, without which FXTrading Corp will collapse. Ponzi math guarantees that when FXTrading Corp inevitably collapses, the majority of investors will lose money. Well somebody’s having a good time life in FXTrading Corp. Probably not their victims. The REAL OWNER IS CESAR CASTAÑEDA AND PHILLIP HAN. BEWARE THIS IS A SCAM. Oh my God too good to be true. One needs to invest what one ready to lose. If you’re practically guaranteed to lose money investing in a Ponzi scheme, why invest in the first place? It’s the first company that show you a live show for the trades , you can see it all at real time , it’s fully blockchain , you can withdraw in one day. None of that is a substitute for registration of the securities offering and legally required disclosures. FXTrading Corp’s scammers can show you whatever they want, and you have no way of verifying it. Honestly you sound like the perfect mark; gullible and ready and willing to believe anything. “It’s fully blockchain”? Please. What does that even mean? The truth of it is you’ll sing FXTrading Corp’s praises while they pay you. When the money runs dry though you’ll disappear in shame like the rest of them. on the promise of an advertised ROI of up to 500%. If they could even give a ROI of even 10-15%. They would get registered,etc and hedge funds, etc would give them billions. Instead..its the typical sucker round up…..one “it’s fully blockchain” yokel at a time. “Shame”? These scammers and cheaters know no shame! To the person above ‘Sultan’ these trades they show on their back office are just mirrored from an exchange. This is not theirs. Otherwise you could hold it in you wallet as apposed to theirs. I do not understand where the behind MLM has such false info, after which it may not be possible to believe this page. Why don’t they go where the company is registered, no mention is made of South Korean Suruuru laws for scam and ponzi, FXTRADING CORP Not SCAM and not Ponzi! There’s obviously so much “false info” in our FXTrading Corp review that you failed to provide not even one example. Ponzi schemes like FXTrading Corp are just as illegal in South Korea as they are anywhere else in the world. Please send me real information about this company. There are many neighborhoods saving and investing on it. ^^ Some people are beyond help. Wes Garner and Lisa Marie Holt, linked to many, many past collapsed Ponzi schemes including One Coin, are pimping this one. Their Ponzi thumbs must be so black that the smell of dead flesh fills the recruitment meeting.